Merseyside in line to receive share of 10 billion pounds fracking jackpot! Merseyside could be eligible to receive a portion of a Jackpot worth £10billion from fracking sites throughout the area. A report that has been unveiled today shows that around 3,500 new jobs could be generated for the “Ocean Gateway” region. It also draws attention to the substantial possible gains from the production of Shale gas including around £945 million a year investment during the greatest years of extraction. The report which was carried out by Peel Environmental and IGas Energy declares that the first wells should be up and running by 2017 and 300 should be operating by 2031. Liverpool, Greater Manchester, Cheshire and the Wirral all make up the Ocean Gateway region and it has been predicted to be among the key sites for fracking in the Britain. 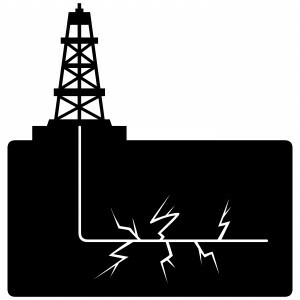 This technique of fracturing shale rock from underground using high pressure water and chemicals to extract gas is very controversial and has already triggered huge protests from environmentalists due to the belief that fracking can cause water contamination and earthquakes. Supporters of fracking believe that it will provide economic profits to regions that require new jobs and investment. The report, which was revealed at the International Festival for business, states that it has been predicted that there will be a lack of people who possess the correct abilities to work in this industry unless colleges in the area start involving training courses. Due to the expected shortfall the report addresses the requirement for a technical institute. So what do you think is best for the North West in regards to fracking?